Nitro is the perfect location for your next corporate event. Looking for the perfect venue to host your next meeting, party or event? Your search stops here! Mardi Gras Casino and Resort offers unique meeting and event space that will help create the atmosphere of excitement that your guests will love. From small group accommodations to group space for more than 150, Mardi Gras has the right space for your event. 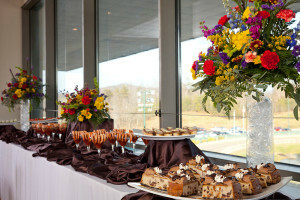 Event spaces are located in our casino and in our Basin Street location inside our resort. Browse our space options below. A semi-private room where you can host large parties, receptions, family gatherings and catered events, the Big Easy Lounge will seat up to 175 people comfortably in various arrangements. The lounge boasts nine large, flat-screen televisions available for slide shows and presentations, a full-service bar and space for a delicious buffet! The Big Easy Lounge is located adjacent to our famous First Turn Restaurant with a great view of live racing on our greyhound track. 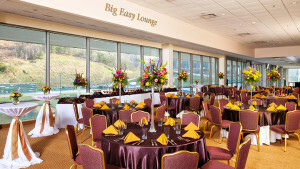 The Big Easy Lounge is perfect for your next big event! Host your midsize private party or meeting in the Lower Levee located near our dynamic poker room. The Lower Levee will seat up to 55 people comfortably for any banquet or private meeting. The high-tech features of the Lower Levee banquet space include four 48-inch television monitors and one 55-inch television monitor for high definition presentations to be viewed from every angle of the room. The Basin Street Boardroom is a luxury private meeting space ideal for small meetings, training sessions and working lunches. Basin Street boasts 200 sq. 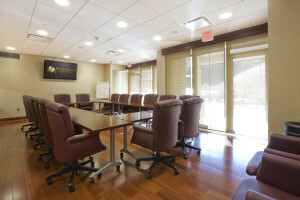 ft. of meeting space set with a beautiful cherry conference table and leather executive chairs that seat 18 comfortably. 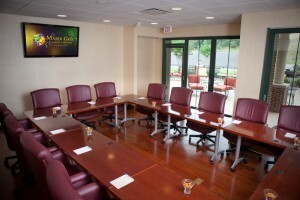 This state-of-the-art meeting room has a 46-inch television, hardwired Internet, wet bar and conference phone to accommodate teleconferencing needs. The Grand Ballroom located on the third floor of the Nitro Moose Lodge #565 is a great rental space for all your occasions. Plan your wedding, convention, office meeting, concert or group outing. Our space can accommodate groups up to 400 people depending on the seating style. It is one of the largest venues you can rent between Huntington and Charleston.